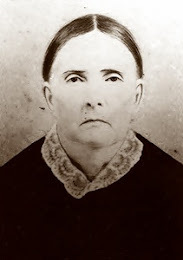 Martha Elizabeth Atkins was born in Laurens County, South Carolina on December 15, 1829 to the marriage of Thomas Atkins, Jr. and Sarah Parlow Davenport. The 1830 U.S. Census shows Thomas, Sarah and three of their children living in Abbeville District, South Carolina. By 1840 the family had relocated to Tuscaloosa County, Alabama. Martha Elizabeth Atkins married Dr. William H. Harris circa 1845. William was born in Tennessee on July 14, 1819. The location of their marriage is unknown at this time. The 1850 U.S. Census shows Martha and William living in Smith Township, Bradley County, Arkansas as possible boarders in the Belcher household. Their one year old son, Alphonso, is also listed. 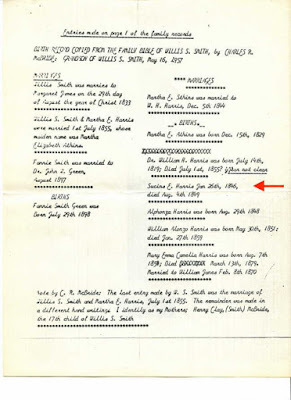 It should be noted that family Bible records show a daughter named Sucins E. was born to this marriage on January 26, 1846. 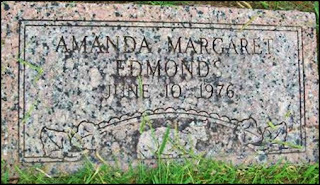 Her date of death is listed as August 4, 1849. Dr. William H. Harris died circa 1855. The location of his burial is unknown at this time. On July 1, 1855 Martha Atkins Harris married a second time to Dr. Willis S. Smith in Clark County, Arkansas. 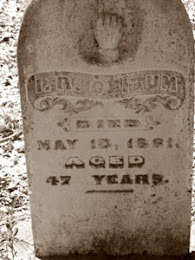 Dr. Smith was a recent widower whose first wife, Margaret A. Janes, had died on February 19, 1855. The 1860 U.S. Census record shows the combined families living in Beech Creek, Clark County, Arkansas. 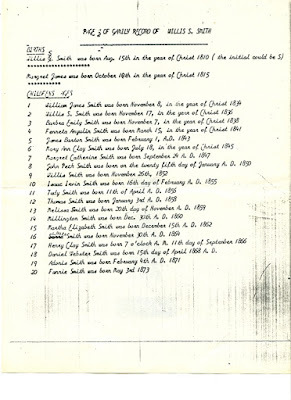 The 1870 U.S. Census record shows the family had increased in number with five children born to the marriage of Martha and Willis, beginning with Millington Smith. The family residence was listed as Missouri Township, Clark County, Arkansas in the 1880 U.S. Census record. Two more children had also been born. 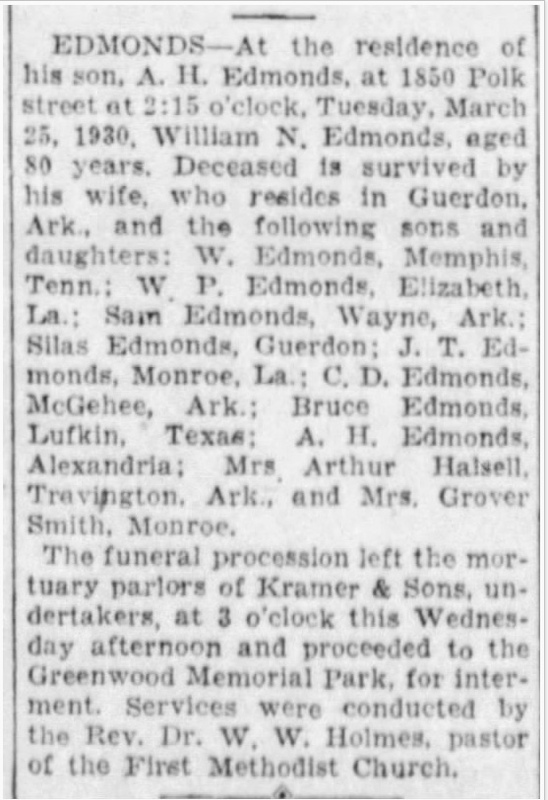 Dr. Willis S. Smith died on May 20, 1891 in Clark County, Arkansas. He is buried on his home place, Rawls Hill Plantation. The 1900 U.S. Census record shows Martha as a widow and head of household. Martha Elizabeth Atkins Harris Smith died on January 20, 1901 in Clark County, Arkansas. 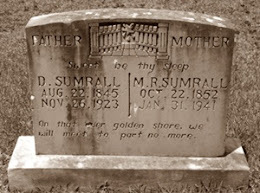 She is buried alongside her husband, Dr. Willis S. Smith, on Rawls Hill Plantation. 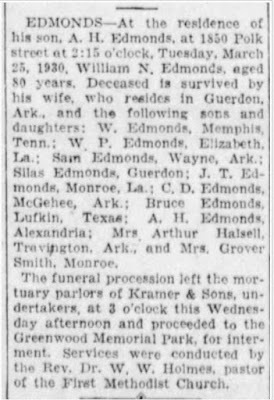 Laura Smith Edmonds was my paternal great grandmother through her son, Bruce. I have been searching for more information on my paternal Edmonds line for several years now. 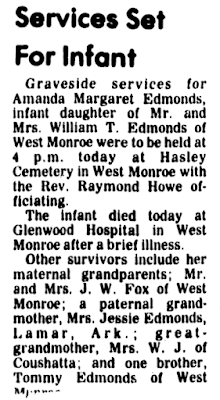 Specifically, I have been searching for additional records for Anthony Edmonds and his wife. I believed (and still do) that Anthony was my 3great grandfather through his son, James Powell Edmonds. 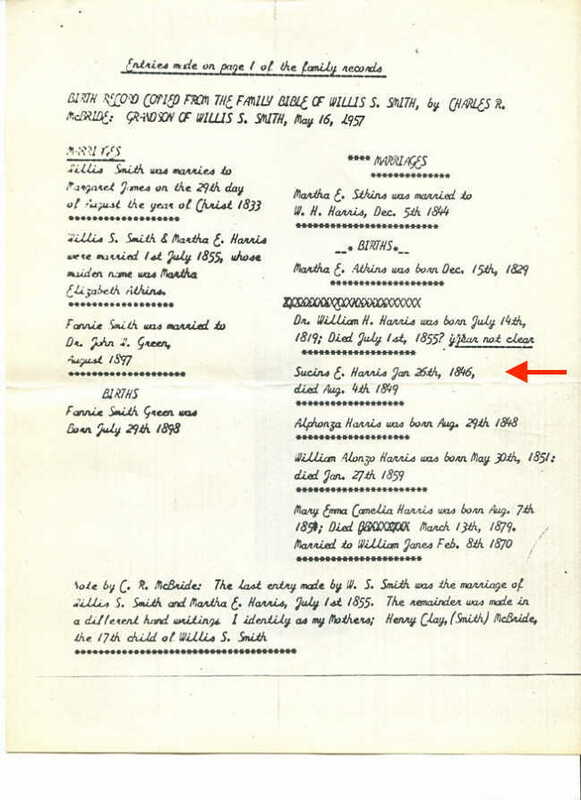 Anthony was born circa 1780 in Halifax County, Virginia to the marriage of John Edmonds and Winifred Buckner. He was married circa 1809 in Georgia (possibly Oglethorpe County) and was the father to seven known children. The name of Anthony's wife was unknown to me during these past several years. 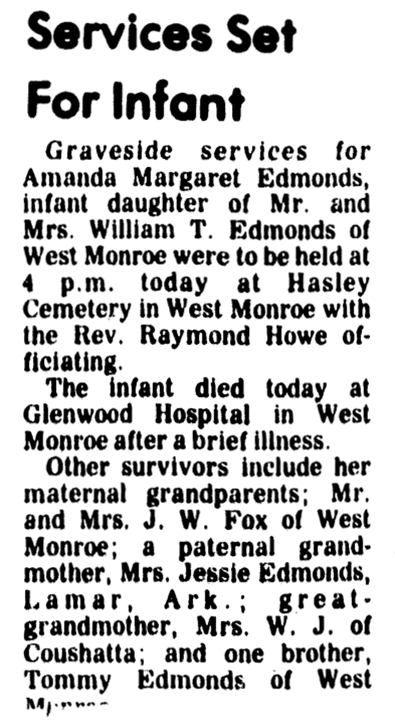 The earliest record I had for Anthony Edmonds was the 1820 U.S. Census below which showed him living in Lexington, Oglethorpe County, Georgia with his wife and five of his seven known children. The 1820 U.S. Census for Oglethorpe County, Georgia lists only two other Edmonds; John and James who are listed right above Anthony. I believe the John to be Anthony's father and James to be Anthony's brother. 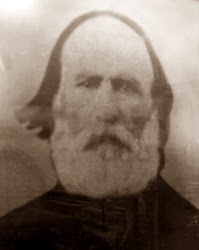 James and Anthony had another brother, John, who was living in Lincoln County, Georgia in 1820 with his wife, Aurilla Tatom. The 1830 U.S. Census shows Anthony and children living in Captain Hatchels District, Oglethorpe County, Georgia. His wife had apparently died prior to 1830. By 1840 Anthony Edmonds along with three or four of his children were living in District 605, Taliaferro County, Georgia. Since I could not find an 1850 census record for Anthony, I estimated his date of death as 'bef 1850' and his place of death as Taliaferro County, Georgia. 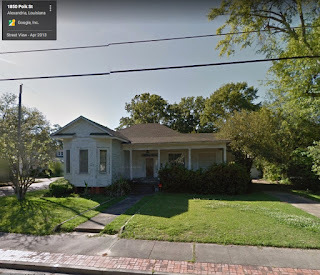 While assisting me with my Edmonds research, Frances Bird Farley came across some Edmonds records on the Georgia Archives website which had been added since my last visit to the site over a year ago. Frances forwarded the link to me and I began my search. As I scanned through the pages I came across the following records from the County Line Baptist Church of Oglethorpe County. These records not only provided the date and place of death for Anthony and a connection to the John who I believe was his father, they also provided the first name of his wife. A few lessons were also learned. For background, please see my original post, Mystery Monday - Joseph A. "Frank" Blackman. Since writing the original post on June 16, 2013 the following information has been discovered. 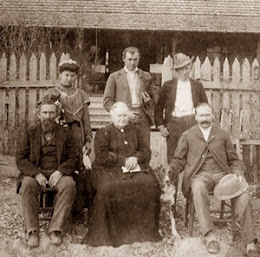 Fellow researcher, Rita Jones, discovered the 1860 census for Burrell Blackman and family. Census transcribers had listed Blackman as Blackmore. As mentioned in my original post, the 1850 census listed a son named Jacob and I wondered at the time if the Jacob listed was actually Joseph. I now believe the Jacob listed in the 1850 census was Joab. This same Joab can be seen in the 1860 census above. A cousin remembered family calling Joseph by the nickname Joab so this lined up with my thinking that I was on the correct path. 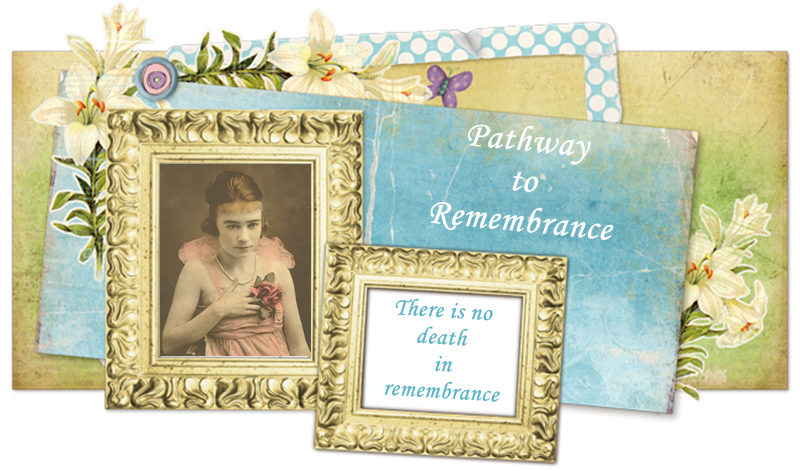 Several months ago the Ancestry website uploaded thousands of wills/probate records. In these records I discovered tutorship documents for the minor daughters of Joseph and Virginia "Jennie" Smith Blackman. 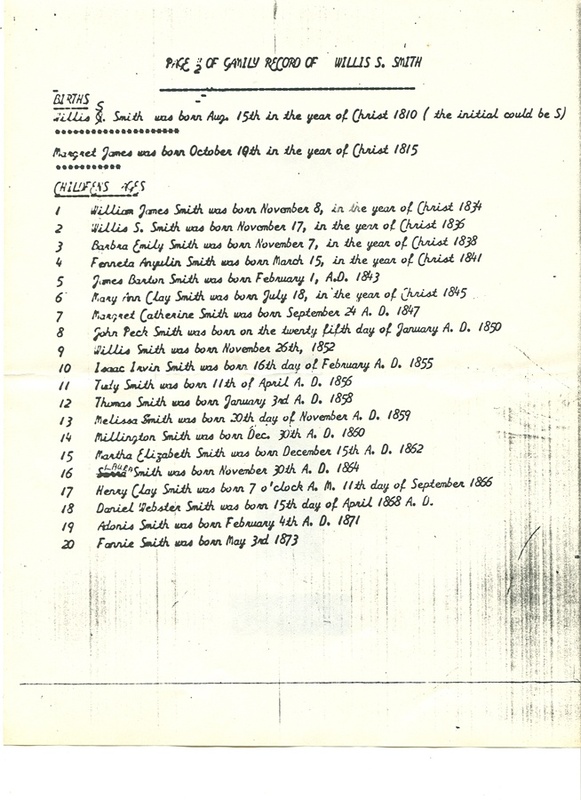 These documents were filed in Catahoula Parish on September 4, 1882 by the father of Virginia "Jennie" Smith, James Luther "J. L." Smith. Records showed the parents of minor children, Henrietta Blackman and Mollie Blackman as Joab Blackman and Jennie Smith. 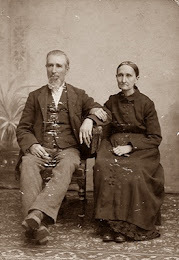 These records also confirmed the deaths of Joab and Jennie as being prior to September 4, 1882. 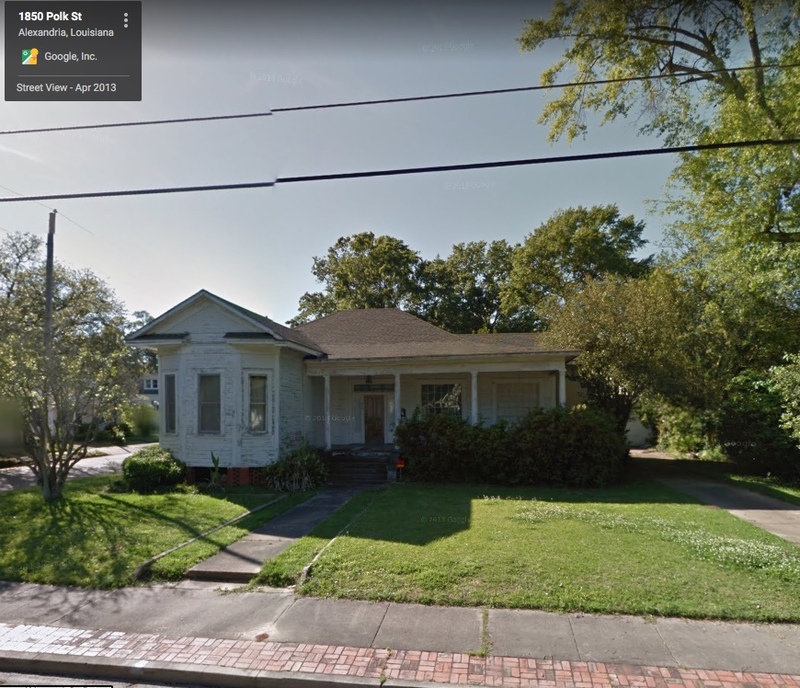 "...a claim of said minors in Milam County, Texas of one hundred and fifty dollars, said claim inherited by the minors from their grandfather's succession Burrell Blackman dec'd is worth one hundred dollars." Was the Margaret listed in census records his mother or step-mother? 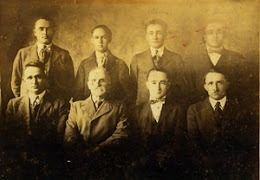 Other children in the household are believed to be Cottens who chose to go by their step-father's surname (Blackman) until later in their lives. An 1834 General Land Office of Texas record for the Jurisdiction of Liberty shows Burrell Blackman as a native of Mississippi and "a man of family consisting of himself & his wife." The Margaret listed in the 1850, 1860 and 1870 census records was born circa 1822. If she is the wife mentioned in the above land record she would have been about 12 years old in 1834. This leads me to believe that Burrell was married to someone else in 1834. It is also then possible that a child was born to this marriage and that child could have possibly been Joseph "Joab". My Autosomal DNA results match with several people who descend from the Bennett Blackman line. However, I also have matches with several people who descend from the Cotten line so I have questions as to the accuracy of my DNA match results on Ancestry's website. I may never be able to confirm the date and location of Joseph's death, his burial location, or the identity of his mother. What I have discovered since June of 2013 proves that persistence, the help of others, and good old fashioned luck really do pay off. 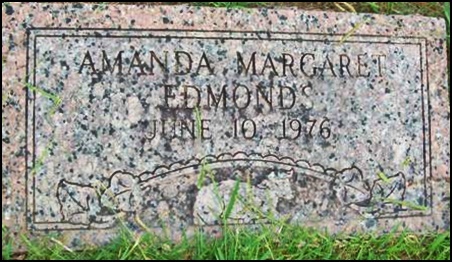 Amanda Margaret Edmonds was the granddaughter of James Thomas Edmonds who was a brother to my paternal grandfather, Bruce Edmonds. 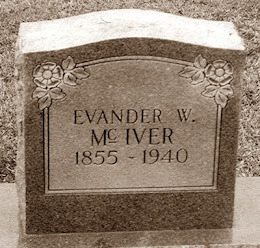 Tombstone photograph was taken by FindAGrave member, Sharon Ray.